The healthcare and medical industry is empowered with doctors, pharmacist, lab professionals, therapists, etc. Their 24/7 service and efficiency provides life and health support to millions and billions of people across the globe. However, healthcare and medical industry also include nursing professionals. If doctors are said to be the savior life, then nursing professionals are said to be their helping hand. From first aid to cleaning, dressing and medicating nursing staff provides all the necessary assistance to patients and doctors in hospitals. To keep the healthcare industry running without any hurdles, the need for nursing professional is equally significant to the need for doctors and other professionals. The trained and proficient nursing staff provides the first point of support to the patient. Since hospitals don’t have time to recruit and staff professionals and able nursing personnel, it’s the task they handover to some dedicated and experienced agency. To ensure that incompetent people are not hired, its necessary that proper assessment and analysis is done. Nursing recruitment agencies provide all that necessary support that is required to bring in quality and able nursing professionals on board. From short listing to assessment to recruitment these nursing recruitment agencies provide holistic and all-round recruitment solutions to their clients. Alliance recruitment agency is a renowned nursing recruitment agency that has been recruiting nursing staff for a wide network of its client base in India and abroad. A dedicated and professional team of recruiters makes us a preferred choice for rendering you the desired manpower services. Nurse recruiter Companies are another extension of these nursing recruitment agencies whereby dedicated and proper support is extended to hospitals and healthcare units concerning nursing staff. Nurse recruiter companies provide flexibility of hiring services to the healthcare establishments concerning the hiring nursing staff on full-time, part-time, contract or internship basis. Their comprehensive and need-based service delivery makes them an excellent choice for staffing nursing manpower. Alliance recruitment agency offers you all that necessary support in a time-bound manner in regards to the nurse recruitment when you hire us as your nurse recruiter company. We, at Alliance recruitment agency, offer all these and many more benefits as a part of our service delivery. To commit to the needs of our client base is our main priority. 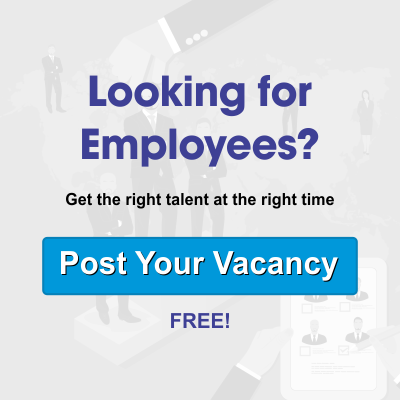 Healthcare and nursing agencies are domain based dedicated recruitment agencies that cater to the recruitment/staffing needs of healthcare and medical establishments. To keep the healthcare establishments working with full force in the service of the public; these agencies play a crucial role in supplying the required manpower on time. At Alliance recruitment agency we have been serving to the needs staffing needs of healthcare establishments and firms from a long time now. The wide global network and professional recruiters make us the perfect choice for delivering to your manpower needs. Jobseekers looking for job opportunities in the nursing domain and healthcare establishments looking for nursing manpower solution services can visit our website https://www.alliancerecruitmentagency.com and register their inquiry.